Peacefully at Lee Manor, Owen Sound on Tuesday July 22, 2014 at the age of 86 years. 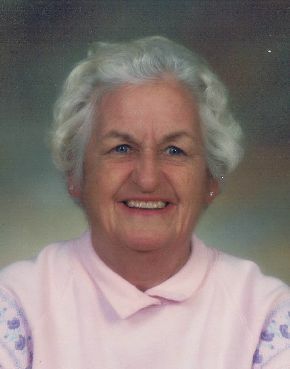 Beloved mother of Sandy and her husband Wayne Carson, of Clavering, and Ralph and his wife Susan, of Ajax. Proud grandmother of Tim Carson, Zach Carson (wife Danielle), Mary Carson, Jeff Snider, and Kyle Snider; and great-grandmother of Madeline Carson. Survived by her dear sister Kay Knight, of Bowmanville. Predeceased by her sisters Marge Langdon, and Louise McDonald. Private family arrangements entrusted to the Thomas C. Whitcroft Funeral Home & Chapel, 814 Bruce Rd. 8, Sauble Beach (519) 422-0041. Cremation with interment in Parklawn Cemetery, Toronto. Donations to Ronald McDonald House, or the Arthritis Society would be appreciated.